122 Essential Forms at your Fingertips! The Atlas Construction Business Forms Book consists of 122 essential forms (2 copies each) to keep your business transactions looking professional and organized. These forms are perfect for Architects, Engineers, Construction Professionals, Contractors, HVAC Professionals, Plumbers, Electricians, Designers, and more! Building Trades Dictionary is a comprehensive reference for trades workers. Building trades, basic engineering, and architectural terms are presented in a highly illustrated, concise format. Emphasis is placed on construction tools and equipment, materials, and processes. Similar to a standard dictionary, terms are defined, synonyms are identified, and illustrations are provided. Over 1500 terms have been added to this edition and existing terms have been revised to reflect changes in the industry. This book presents a practical and invaluable arsenal of professionally-written model letters tailored specifically to the construction industry. Use this book to make your business stand out from the crowd and get your message across more effectively than ever before! Fit your jobs. Boilerplate contracts are an embarrassment and reflect a lack of professionalism on your part. Comply with California law. Contractors who don't comply are subject to discipline by the C.S.L.B. Anticipate the most likely disputes. Protect yourself. Anything else is an accident waiting to happen. Resolve key issues in your favor. Adjust contract bias your way. No "standard" contract can do that. Construction Estimating is a comprehensive introduction to estimating practices used in the construction industry. This edition serves as a guide to sources of information on prints and specifications. Learners have opportunities to prepare estimates using a variety of spreadsheets, including takeoff activities based on prints for a proposed township administration building. You can customize the forms to fit your company, fill them out, and print. Loads into Word for Windows, Lotus 1-2-3, WordPerfect, Works, or Excel programs. 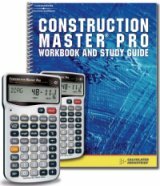 The easy-to-use course that will help you learn common construction-math principles, building techniques and acquire the skills to utilize the Construction Master Pro advanced Feet-Inch-Fraction calculator – accelerating your productivity on the job and in the classroom. You will quickly solve routine construction problems or undertake complex design and estimating challenges. After Arthur F. O'Leary tells you what happened on the job, what went wrong and how it went wrong, James Acret provides an in-depth legal analysis and the probable outcome of the potential arbitration or lawsuit. The analysis provided deals with contracts, cancellation of contracts, walking off the job, removing a contractor from the job, responsibility of the bonding company, mechanics liens, insurance covers, arbitration, mediation, lawsuits, important provisions in construction contracts, responsibilities of the architect and the owner, liability for construction defects and much more. Step-By-Step Instructions for setting up Quickbooks 2015 for your Construction Company! QuickBooks can save you hours of time in keeping your books and keeping track of your finances. But setting up the new 2015 QuickBooks can be complex and time-consuming. There are even 1,000 questions and answers included -- just like the actual state tests, to make sure you pass with high marks. Whether you’re an experienced contractor who’s paid too much to too many lawyers, or a newcomer without the experience or financial backing to risk a legal battle, this book will guide you away from danger spots and along a safer path. For the price of about 15 minutes in a lawyer’s office you'll have a guide that will make many of those visits unnecessary. You'll find directions for starting a business, what to put in every contract, how to collect what's owed you, what laws affect your jobs, what to do about job injuries, how to file a lien that holds up, how to handle warranties, and where you’re liable for subcontractors. Here you’ll find all the information required for the law and business examination for the State of California. You’ll find how to answer questions on employee issues, contracts, job management, safety, insurance, bookkeeping, estimating, bid procedures, licensing, mechanic’s liens, and building codes. DEWALT Contractor’s Daily Log & Jobsite Handbook is a two-in-one resource that provides all of the necessary elements needed to effectively run and complete a construction project. Part One offers daily log pages, carefully designed to assist contractors in documenting everything necessary on the jobsite, from daily activities to weather conditions to schedule, deliveries, subcontractors, OSHA requirements, and more. The most comprehensive contractor’s forms and letters reference available comes with a CD-ROM that allows users to easily and effectively manage every area of their contracting business! This extraordinary CD resource contains a user-friendly interface in which all of the forms and letters are easy to find and utilize in both Microsoft Word and Excel formats. A complete set of "real world" scheduling tools that are specifically tailored to meet the needs of small to medium-sized construction businesses. Step by step, it shows you how to use Microsoft Project to build a schedule that will synchronize everyone's efforts into an organized system that becomes the foundation of all planning and communication for all your jobs. 40+ Essential Forms at your Fingertips! The Electrical Contractors' Business Forms Book is loaded with essential forms created just for the electrical industry. Create your own Customized Estimating Program! Most builders estimate with Excel because it's easy to learn, quick to use, and can be customized to your style of estimating. Here you'll find step-by-step how to create your own customized automated spreadsheet estimating program for use with Excel 2007. You'll learn how to use the magic of Excel in creating detail sheets, cost breakdown summaries, and linking. You'll put this all to use in estimating concrete, rebar, permit fees, and roofing. You can even create your own macros. This book has everything you need to set up and run a building maintenance department. Whether you are a facilities manager, engineer, property owner, developer, or anyone else responsible for maintenance operations, this book is a must-have reference. Not only does it give you all of the essential ingredients for understanding and carrying out successful day-to-day management of maintenance activities, it provides you with an integrated plan for continuous improvement of the maintenance function. In this guide, Michael Stone, a highly-successful contractor, lecturer and consultant, explains the importance of setting your own markup - and not just picking a markup figure that someone else uses, or a number you found in an estimating book! He writes in simple layman's language and includes examples, formulas and sample problems to help you. When you've read this book, you'll thoroughly understand what markup is and how to arrive at it. Here you’ll find in-depth coverage of just about every legal term someone may throw at you, what the true meanings of these terms are, and how they may apply to you in a construction business. Covers contracts, competent parties, legal object, letters of intent, certainty, consideration, illusory contract, mutual assent, offer and acceptance, delivery, contracts without words, options, duress, bidding, modification of forms, owner’s damages for defective construction, contractor’s damages for breach by owner, warranties, and just about every legal issue a contractor can face. Principles of Contracting provides a comprehensive introduction to the construction contracting process. This CD-ROM has over 300 multiple choice questions covering all the points covered in the actual California State Contractor’s Exam. You’ll learn the right answer and a full explanation of the basic principles involved in that question. Even if you guess the right answer, the explanation is given, so you learn the material in the test. Originally designed for the California exam, this CD-ROM can help anyone in any state pass the Law and Business Examination in their state.